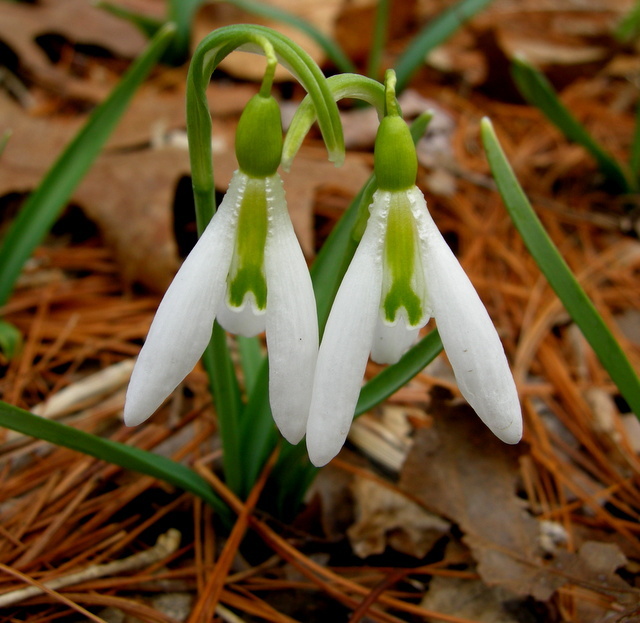 Do All Snowdrops Look Alike? 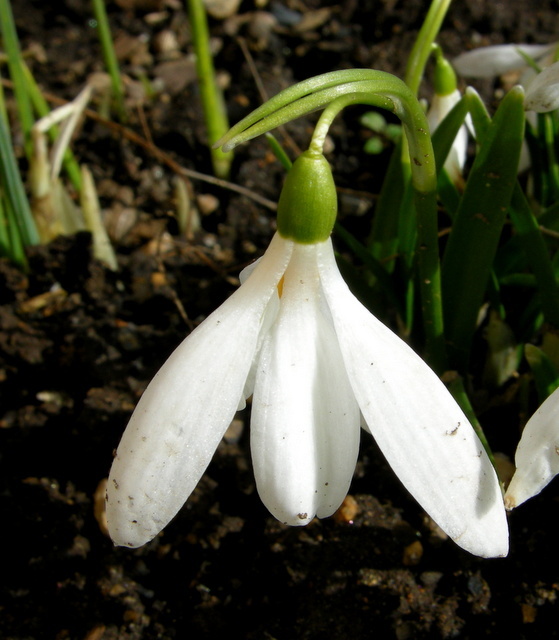 ‘Wasp’ certainly has all the elements of a typical snowdrop, but its long petals and unusual markings make it look just like the flying insect when the wind blows. 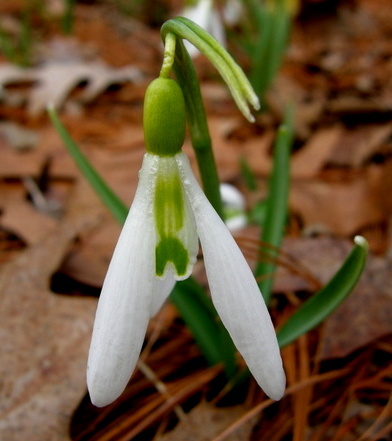 People often try to tell me that all snowdrops look alike: white with three longer outer petals and three shorter inner petals with a green mark. They should know better. I would never admit that as I am a galanthophile who revels in observing the smallest differences. 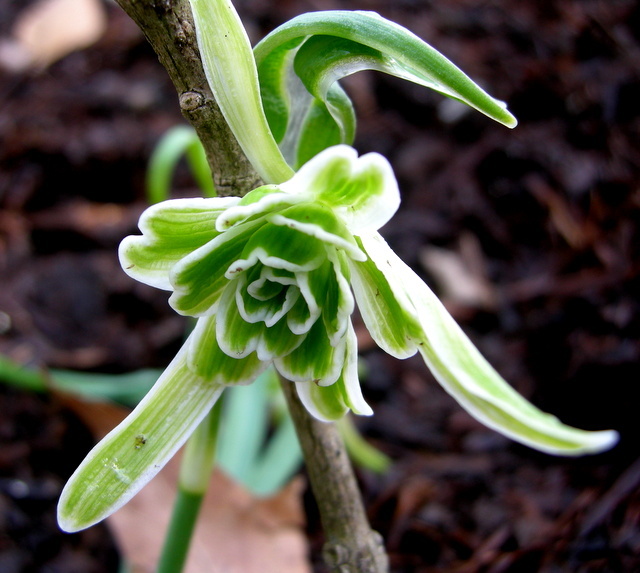 I can go on at length about bloom time, leaf color and shape, and the intricacies of the inner mark, but I won’t. 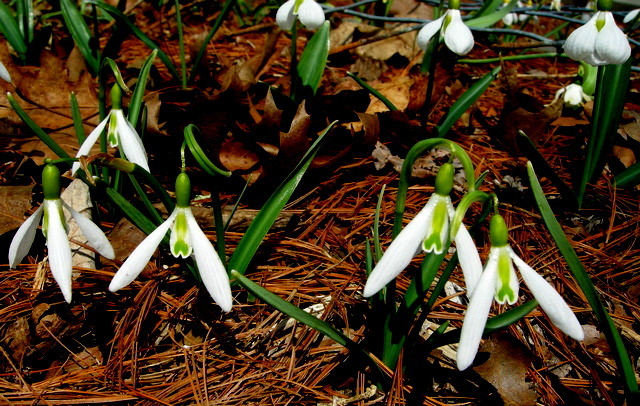 Here I want to show you snowdrops that even the skeptical will recognize as different. 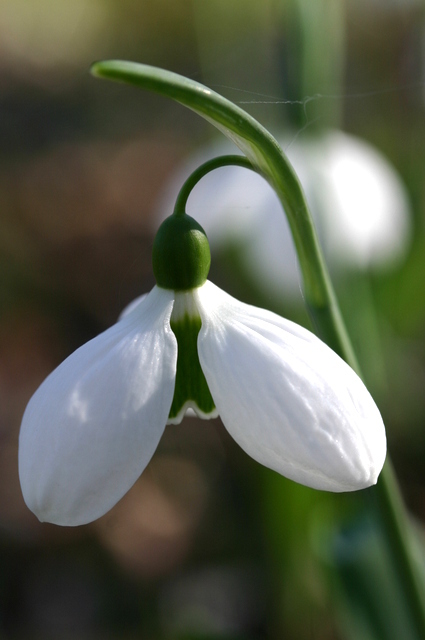 The elegant and graceful double snowdrop ‘Ballerina’ certainly stands out from the pack. 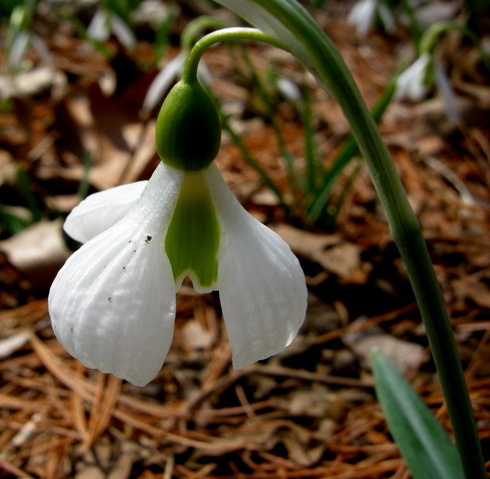 Most gardeners are all about the flowers, and it is the blooms that I will focus on here. The flower variations just within the three inner segments (petals)-three outer segments-single green inner mark theme are amazing, and I will show you a few of those like ‘Wasp’ above. 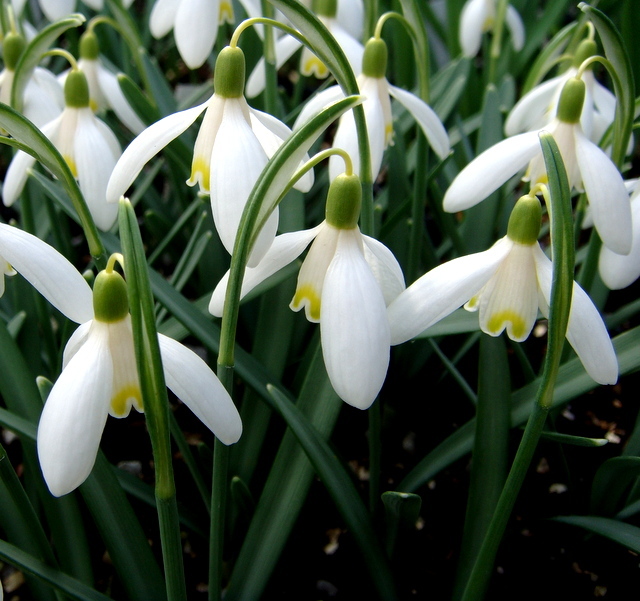 But then there are yellow snowdrops, regular doubles like ‘Ballerina’ above, virescent (green) snowdrops, crazy doubles, flowers with extra petals, all white snowdrops, the variety is endless. There is even ‘The Alburgh Claw’. Let’s start the show. 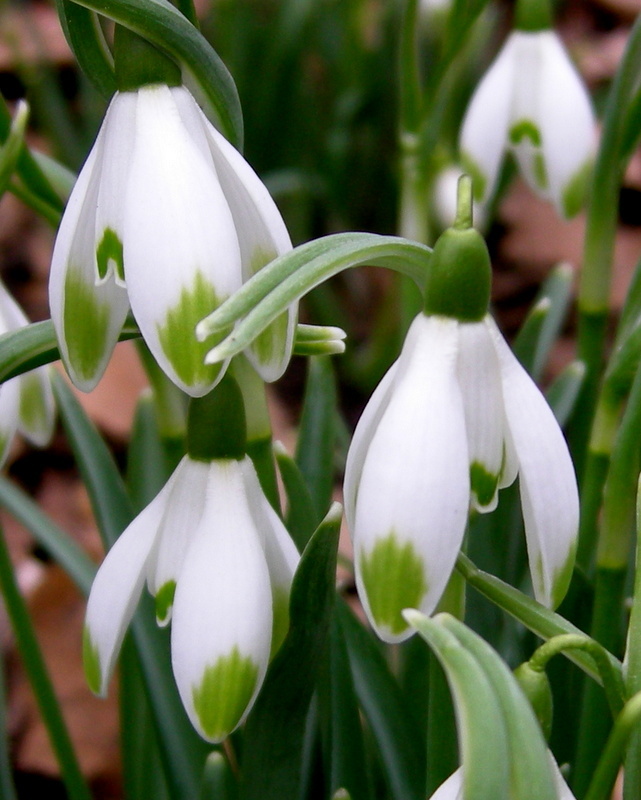 Although still single-flowered and green and white, ‘Melanie Broughton’ has a very large solid green inner mark and bright white, puffy and quilted outer segments. ‘Daphne’s Scissors’ has a very unusual inner mark shaped like scissors. Thanks to Mark Smyth at the Galanthus Gallery for supplying this excellent photo. 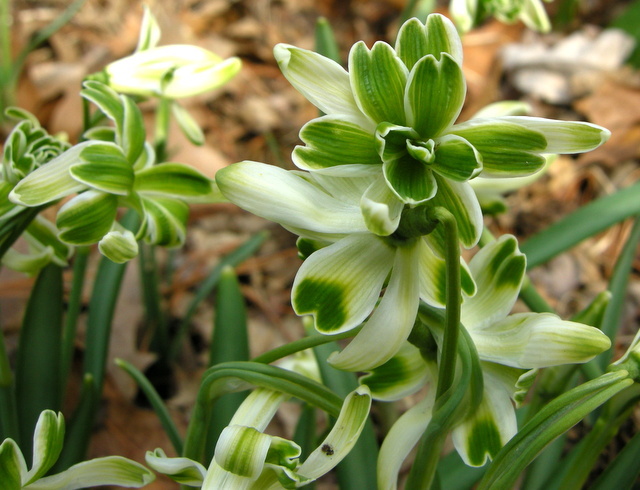 ‘Viridapice’ has green markings on the outside of the flower. 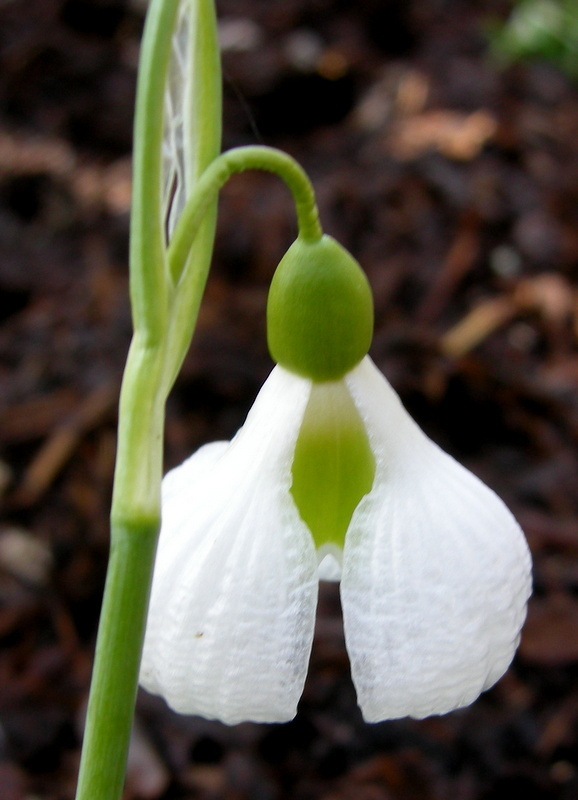 ‘Diggory’ is the only snowdrop flower with pear-shaped, squared off outer segments. 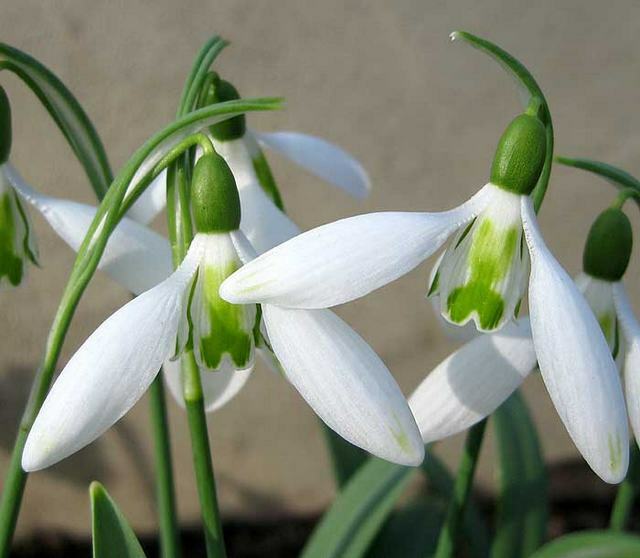 At the top of my personal wish list right now, ‘Rosemary Burnham’ is a virescent snowdrop with a solid green inner mark and elegant green stripes completely covering the outer segments. 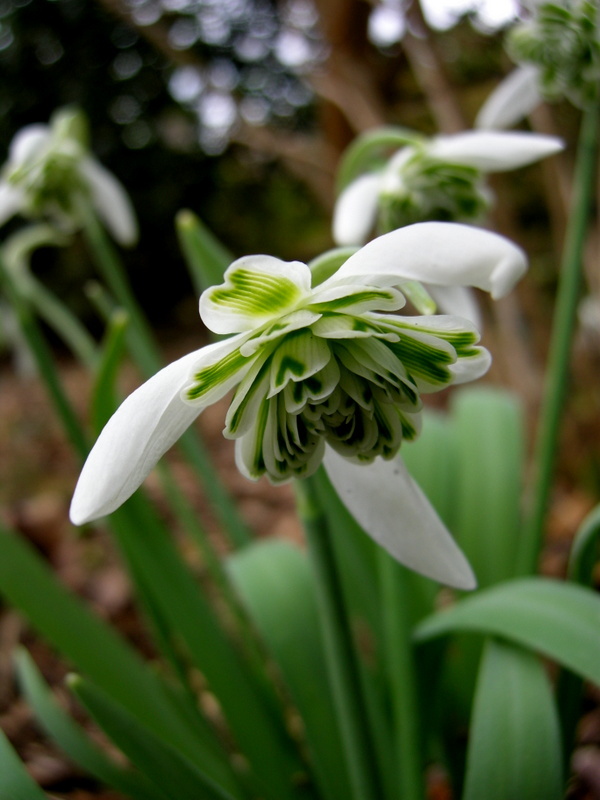 For a photo, please click here for a trip to the Galanthus Gallery with hundreds of beautiful snowdrop photos. 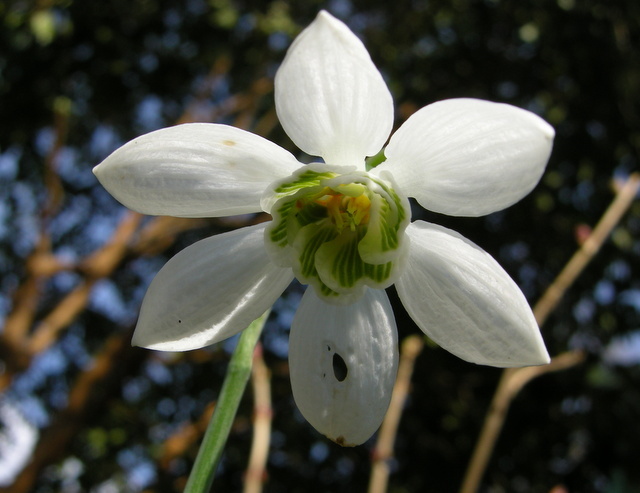 ‘Spindlestone Surprise’ is one of a growing number of snowdrops that have a yellow mark and a yellow ovary (the cap on top of the flower). Others include ‘Wendy’s Gold’ and ‘Primrose Warburg’. 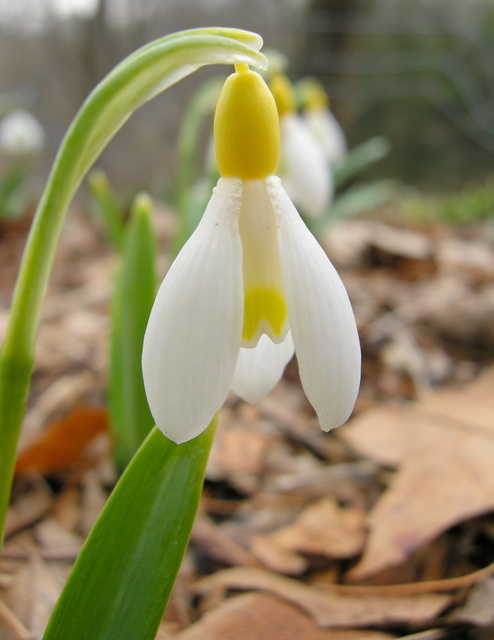 ‘Blonde Inge’ is one of the few galanthus that combine a yellow mark with a green ovary. ‘Lady Elphinstone’ is the only double yellow. ‘Godfrey Owen’ doubles the number of inner and outer petals to six each and holds its flowers open in a beautiful whorl. 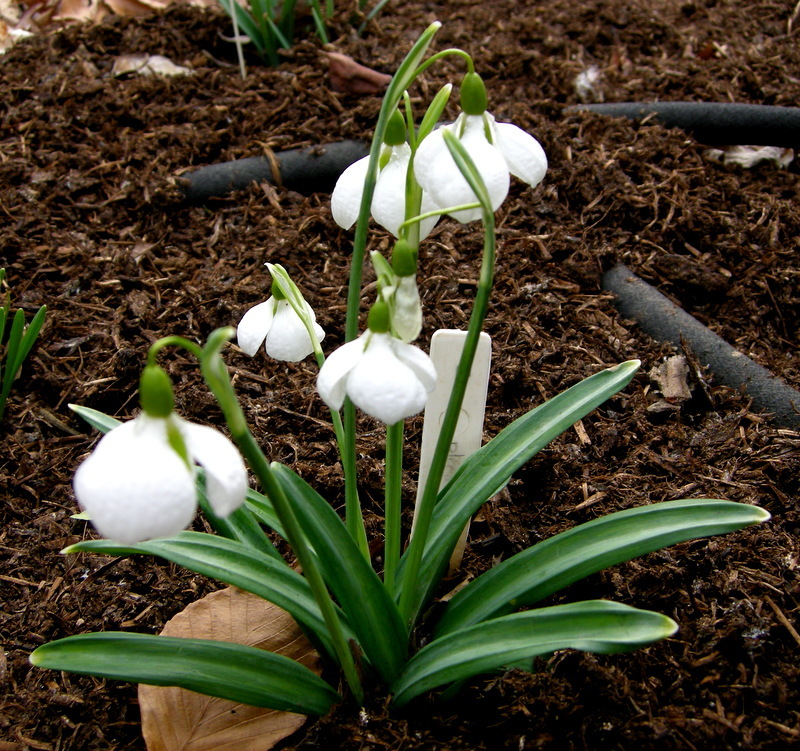 ‘Hill Poe’ is a late blooming double with lots of white inside. 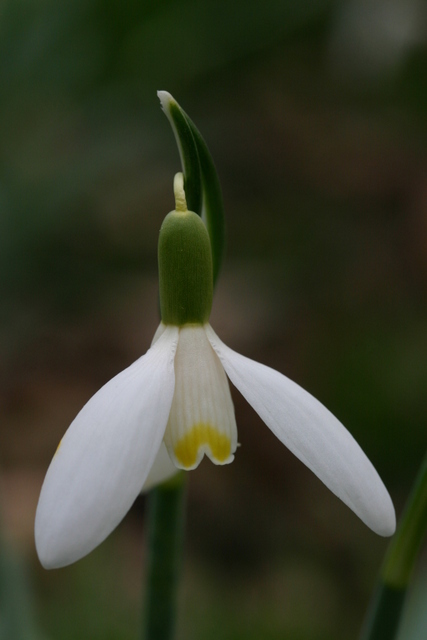 Thanks to Mark Smyth of the Galanthus Gallery for supplying this photo too. 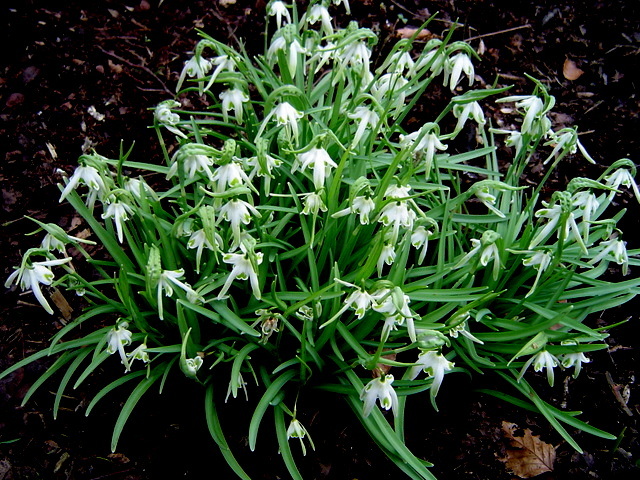 ‘Blewbury Tart’ is a vigorous double snowdrop with outward-facing, mostly green flowers. 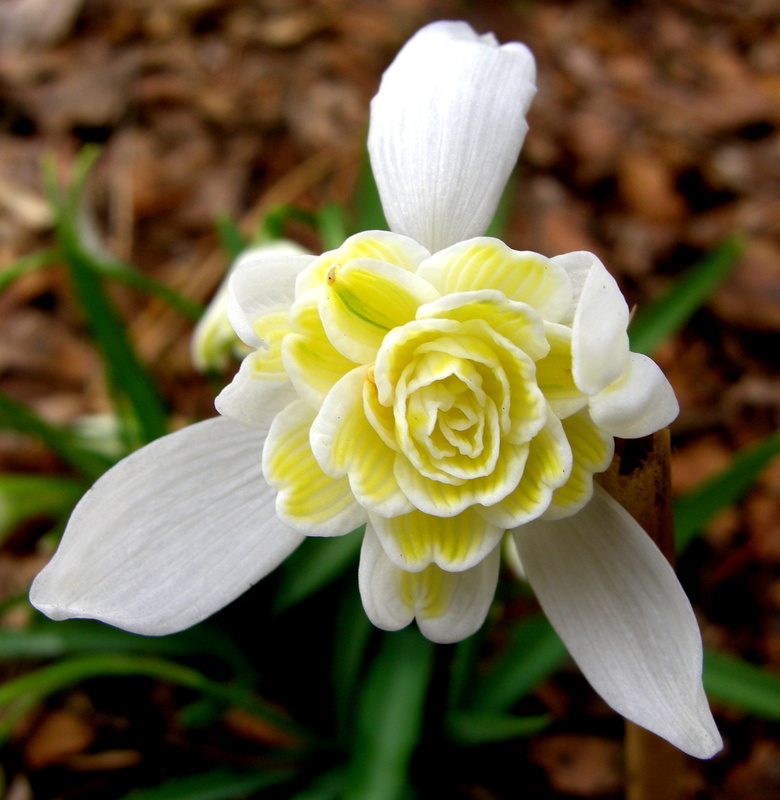 ‘Anglesey Abbey’ can be solid white and poculiform, meaning that its inner segments are replaced by outer segments. ‘Walrus’ has mostly green inner segments and long green outer “tusks”. 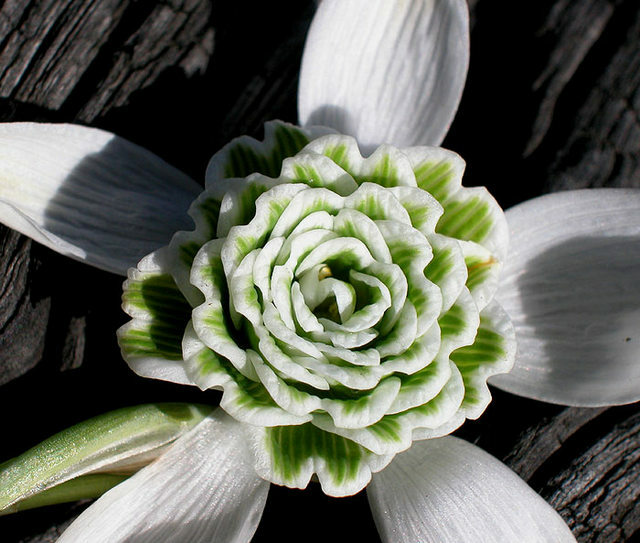 And you were wondering about ‘The Alburgh Claw’, well click here for a photo of one of the weirdest snowdrop forms, the spikey double. Nursery Happenings: You can sign up to receive notifications of catalogues, sales, and events at the nursery by sending your full name and phone number to carolyn@carolynsshadegardens.net.